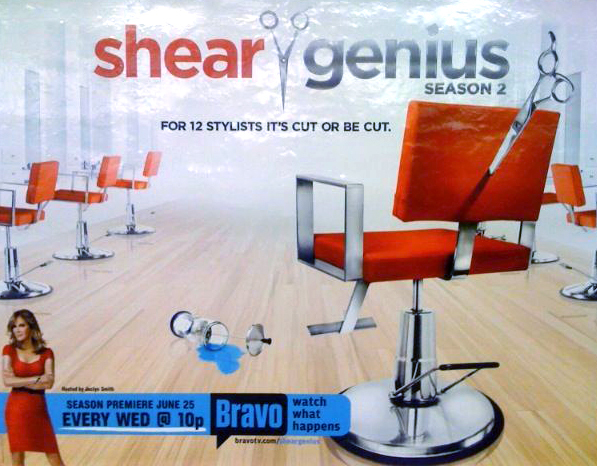 Glenn Mitchell is a cast member on the newest season of Bravo TV's hit reality show Shear Genius. In each one-hour episode, the stylists face two challenges: the short cut challenge, which tests their technical hairstyling skills; and the elimination challenge, which tests their creativity and advanced skills. Challenges are also designed to test the stylists' ability to service clients, manage a staff and work as part of a team. The 12 cast members featured on Shear Genius compete for the grand prize of $100,000 in seed money from Nexxus, an internship with the salon care company, and the opportunity to style hair for an Allure magazine feature. Click on the thumbnails below to view images full size.